The News-Bee was breathless on June 30, 1905, as breathless as a newspaper could possibly be. WELL, I SAID I’D DO IT, AND I DID. Roy Knabenshue proved beyond a doubt that he is truly “The King of the Air” and that he has at last mastered the world-old problem of aerial navigation. 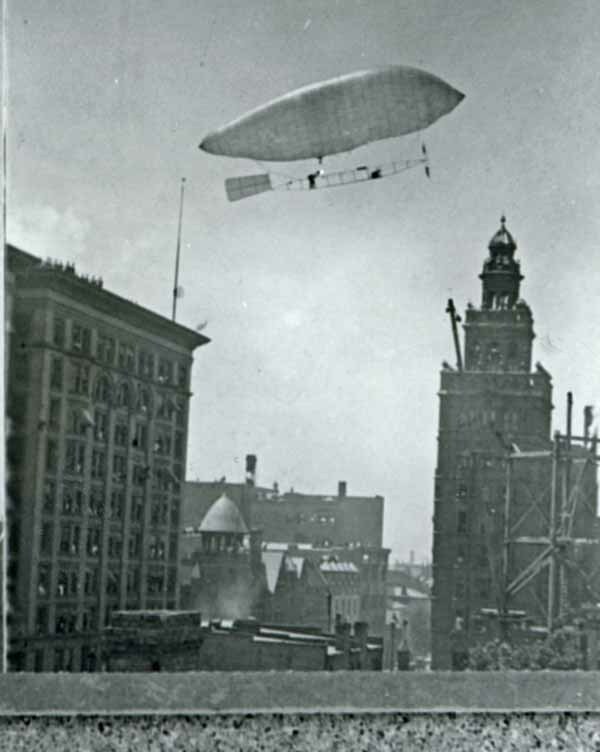 The short version was that Roy Knabenshue piloted a balloon from Dorr and Upton to the Spitzer Building downtown and back to the amazement of everyone. Photo courtesy of the Toledo-Lucas County Public Library, obtained from http://images2.toledolibrary.org/. A “skeptical and amused” crowd had already gathered at the Tri-State Fair Grounds, Dorr and Upton, and Knabenshue was there early as well, before 7 a.m. He had hoped to “startle the people of Toledo before most of them had risen for the day,” but there wasn’t enough iron on hand to make enough gas to fill the balloon. At 9:26 a.m., he decided to go up anyway. Flying east, he started his descent when he reached Collingwood. His final destination? The roof of the Spitzer Building, where a crowd (and a $500 prize from A.L. Spitzer, who offered it to anyone who could land an airship on the roof) was ready to greet him. The trip, into the wind, took 27 minutes despite, at one point, his ten horsepower motor quitting on him. “I could see an enormous lot of the country about Toledo from my altitude. I could see Put-in Bay and the Sister Islands very plainly, and I thought I could distinguish the murk of Detroit through the haze, although that may have been, and probably was, an illusion,” he told the News-Bee. With the wind at his back, Knabenshue headed back to the fair grounds. It took 13 minutes. “There was an immense crowd at the fair grounds waiting his arrival with more coming all the time, by carriage, automobile, street car and afoot. As he came down they caught the rope, but he guided the craft to its berth without assistance, while the crowd hailed and cheered him,” the News-Bee wrote. What kind of a craft? Roy Knabenshue pilots Toledo No. 1 between the Spitzer and the Nasby buildings on June 30, 1905. Photo courtesy of the Toledo-Lucas County Public Library, obtained from http://images2.toledolibrary.org/. Augustus Roy Knabenshue was born in 1875 in Lancaster, Ohio. His father, Samuel, was the former editor of the Weekly Blade, an edition distributed by mail to outlying areas. 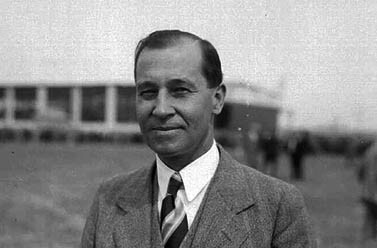 To avoid possible embarrassment from his flying exploits, Roy sometime used the name Don Carlo so as to not be associated with his family. 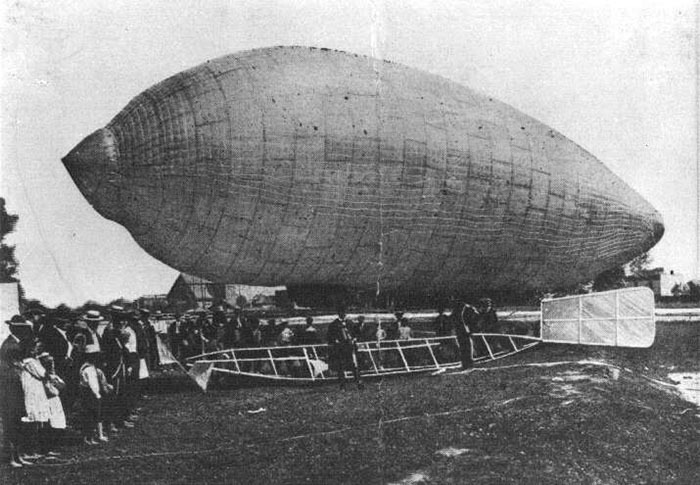 In 1904, he made the first successful dirigible flight in the United States at the St. Louis World’s Fair, crossing the Mississippi and landing in East St. Louis. He returned to Toledo for financial backing to build Toledo No. 1 and to make the city more “air conscious,” according to his obituary. 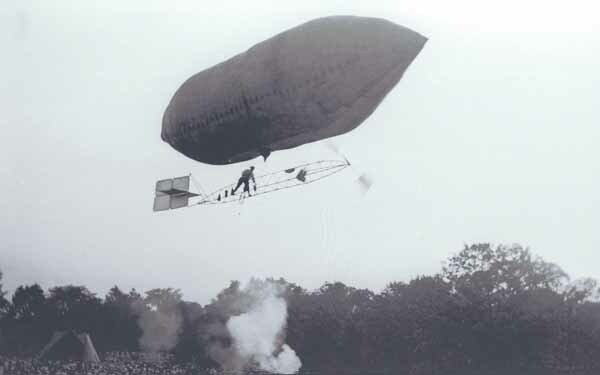 Knabenshue made a number of flights over Toledo, including one in 1908 that the News-Bee called “the most spectacular airship flight ever seen in this city” that “ended in disaster.” Not exactly – his balloon floated down after his motor became flooded, landing in the right-field bleachers at Armory Park during a baseball game. We made a flight over the city and our engine stopped, due to carburator trouble. I presume the high altitude affected the mixture as after we were up 4our thousand feet the engine commenced to exhaust black smoke and then came to a stand still and all efforts to start it were of no avail. So I made a landing in our ball park. Some interested, excited spectator, in his efforts to assist, pulled the frame down so hard that it came in contact with the fence and broke in two. That put us out of business. Otherwise I would have been able to repair the difficulty and fly home again. 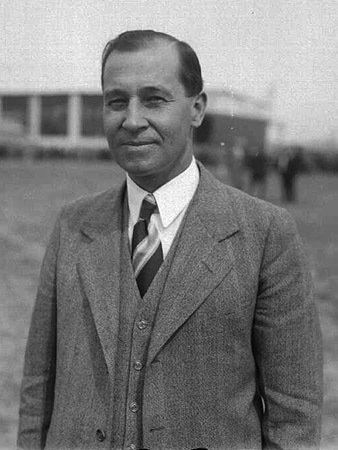 Knabenshue got into the exhibition flying business with the Wright Brothers, formed his own company to build airships, and worked for the National Park Service from 1933 to 1944, according to the book The Wright Company: From Invention to Industry, by Edward J. Roach. He died March 6, 1960 in Los Angeles. And while North Carolina and Ohio have gone back and forth which state is actually the “birthplace of aviation” (and even yours truly mocked the idea of Ohio fitting that description), the state has a pretty strong case. The Wright Brothers, Knabenshue, Neil Armstrong were all pioneers and all hailed from Ohio. Connecticut? I don’t know.